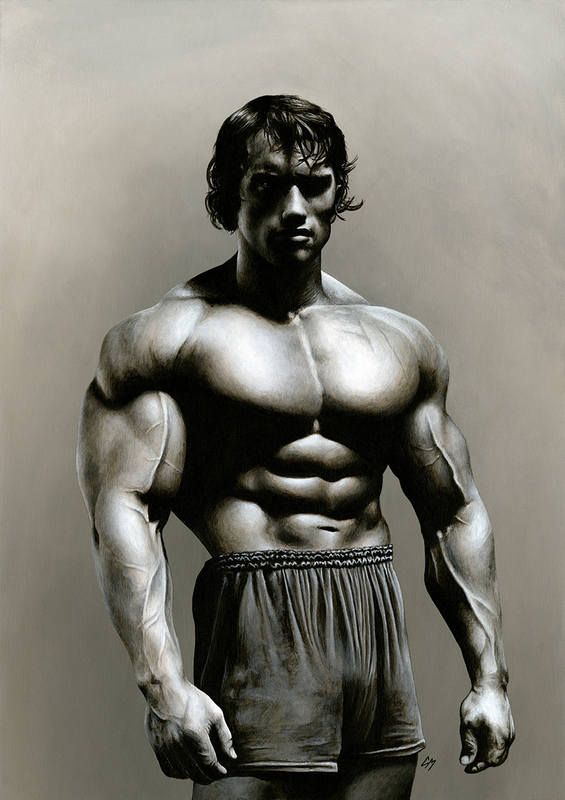 A painted portrait done for An Evening With Arnold Schwarzenegger. This was signed by the man himself and auctioned off on the night. Medium: Acrylic paints on art board. By Craig Mackay.